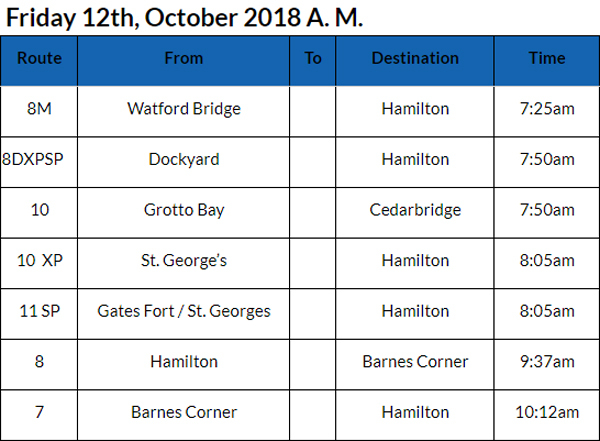 [Updated] The cancellation of bus runs continue, with the Ministry releasing a list of bus cancellations for this morning [Oct 12] with seven bus runs cancelled so far today. Update 4.20pm: The Ministry has released the list of bus cancellations for this afternoon. There were 7 runs cancelled this morning, 28 cancelled this afternoon, for a total of 35 cancelled today. Calculate 35 bus runs all day…how much is that?….ok I want that money taken away from buses and put towards ferries then…they know how to keep their transport running! How much is one bus run all day? I want to know because it’s my money paying for it! I would like to know so that I can calculate how much money is going missing daily!